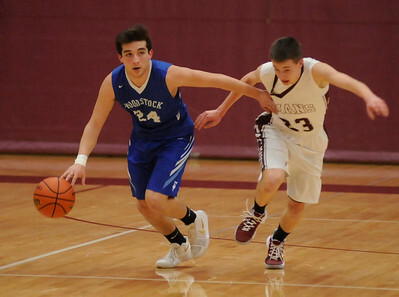 Woodstock's Andrew Gippert battles with Marengo's Alejandro Rodriguez for a rebound during the first quarter of a IHSA Class 3A boys basketball regional quarterfinal game Monday evening, Feb. 26, 2018, at Marengo Community High School. Woodstock's Carl Anderson Jr., brings the ball up the court against Marengo's Matt Fischer during the first quarter of a IHSA Class 3A boys basketball regional quarterfinal game Monday evening, Feb. 26, 2018, at Marengo Community High School. 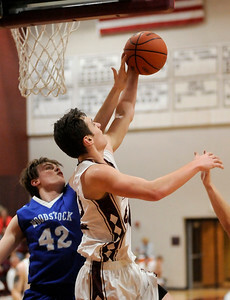 Woodstock's Tyler Peake drives to the basket against Marengo's Nick Wascher during the first quarter of a IHSA Class 3A boys basketball regional quarterfinal game Monday evening, Feb. 26, 2018, at Marengo Community High School. 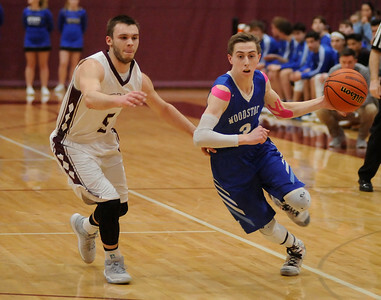 Woodstock's Tyler Peake brings the ball up the court against Marengo's Blaine Borhart during the first quarter of a IHSA Class 3A boys basketball regional quarterfinal game Monday evening, Feb. 26, 2018, at Marengo Community High School. 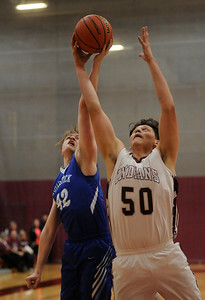 Marengo's Alejandro Rodriguez blocks the shot of Woodstock's Tyler Peake during the first quarter of a IHSA Class 3A boys basketball regional quarterfinal game Monday evening, Feb. 26, 2018, at Marengo Community High School. 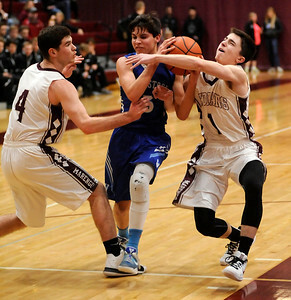 Marengo's Alexander Schirmer, left, and his teammate, Nick Wascher, right, triy to steal the ball from Woodstock's Evan Bridges as Bridges drives towards the basket of a IHSA Class 3A boys basketball regional quarterfinal game Monday evening, Feb. 26, 2018, at Marengo Community High School. 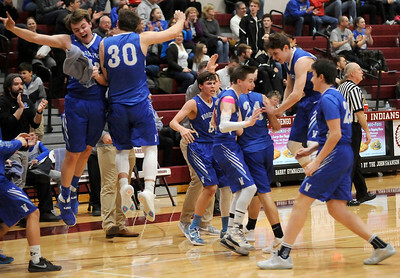 Woodstockl celebrates a three point shot during a time out during the second quarter of a IHSA Class 3A boys basketball regional quarterfinal game against Marengo Monday evening, Feb. 26, 2018, at Marengo Community High School. 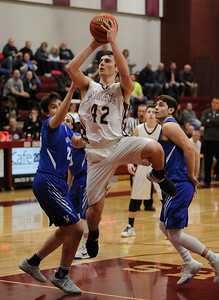 Marengo's Brock Bertrand drives to the basket against Woodstock's Camden Hanson during the second quarter of a IHSA Class 3A boys basketball regional quarterfinal game Monday evening, Feb. 26, 2018, at Marengo Community High School. 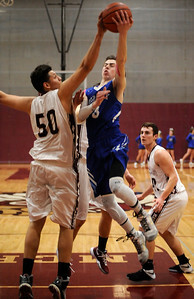 Woodstock's Andrew Gippert battles with Marengo's Brock Bertrand for a rebound during the second quarter tof a IHSA Class 3A boys basketball regional quarterfinal game Monday evening, Feb. 26, 2018, at Marengo Community High School. 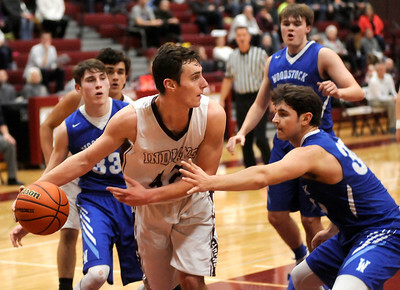 Marengo's Brock Bertrand passes the ball as he is defended by Woodstock's Michael Gardner during the second quarter of a IHSA Class 3A boys basketball regional quarterfinal game Monday evening, Feb. 26, 2018, at Marengo Community High School.